HOW DO YOU TAKE YOUR NOTES? I WRITE AND DRAW. Like any study, it’s not only helpful but a good idea to take notes. Yet, for a physical practice such as Brazilian jiu-jitsu (or for that matter, any physical activity, really) a transcript of words will not do. What matters is retention, and we don’t need to retain every minutiae — much of that will come from the physical act of doing and feeling. I only take notes on the big ideas or the details that make me go “aha.” If I try to capture it all — well, it’s like that old saying: “If you want to teach nothing, show them everything.” Meaning, if I overload myself with information, I will remember none of it. So, how do you take your notes? I write and draw. Don’t waste your money on notebooks that make you feel like you’re taking notes in history class. Get yourself a cheap sketchbook at a dollar store and some pens. We aren’t cramming for finals here. This is martial arts, we’re supposed to be creative, so write outside the lines and get your brain going. Get yourself excited about the art, with art! Add some color, studies concluded coloring is not only good for children but also for the adultbrain. So, to give you an example, here are some notes I’ve taken on what I consider some of the key points for BJJ (Brazilian jiu-jitsu) philosophy. And look, I’m a crappy artist, but what matters is connecting ideas to words and images. Sometimes you’ll remember the words but you won’t remember the context or the point. If you take notes on something you see, you convert what you saw into words. Then your brain has to convert those words back into an image. You won’t remember what was unique about the idea because it lost something in translation, it lost the emphasis. Sketchnoting helps you maintain those elements. Maintain the visual and strengthen it with words. It’s more efficient and after all, isn’t efficiency what jiu-jitsu is all about? Higher belts say it all the time but it makes a lot more sense when you see it visually.Rather than focusing on where you want to end up, like winning, or the next belt up, focus on the process. Why? 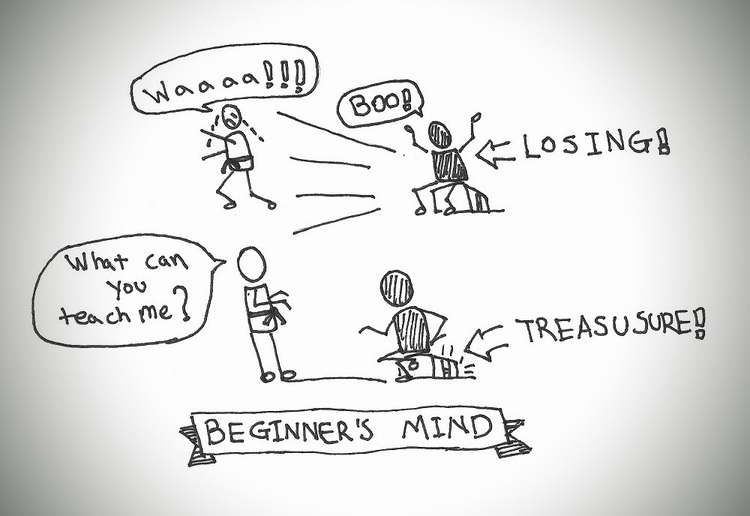 Because every other beginner is focusing on winning, that’s why they’re beginners. They’ll bypass the “getting good” part. Focus on getting good, the rest will take care of itself. This actually is the Way and it’s how you should approach every, and I mean, every, great undertaking. It will serve you well in all endeavors. A giant person sits on your chest; you aren’t going to shove him off. So what can you move? Oh yeah, yourself. Don’t try to think like a powerlifter, think like the clever little person that you are. Control yourself. That’s life, you can’t control all circumstances, you can, however, control your actions and reactions. Much like the Stoics, you can’t control all events, but you can control your opinions about them. This is the efficient jiu-jitsu man. No wasted energy on things you cannot control. To think of all there is to learn is overwhelming, but good news, you don’t need to be good at all of it. The most useful and successful people in life find a few areas and excel at those few. World champions are elite at perhaps five things (that’s not just for jiu-jitsu, this is true for nearly all sports). Hone your skills, master a few things, become a mental sniper. Save it. 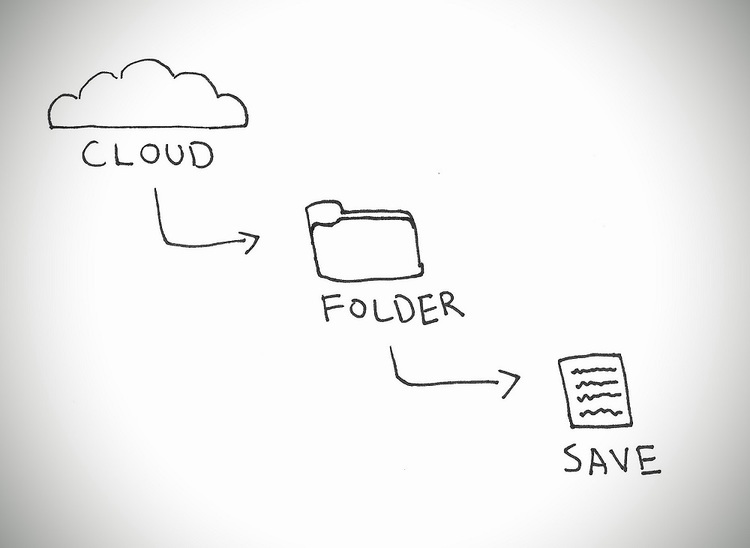 You can scan or take a picture, then upload it onto the cloud. I use Google Drive. From there, create a catalogue system. (If you want to optimize even that, look into the Zettelkasten system.) I have a folder for BJJ, then a subfolder for BJJ philosophy. I use the cloud as my mind-map flow-chart and the visuals really help. You should also check out the books I’ve listed below.